The whole of Scotland is covered with an unbelievable selection of Historic Monuments and the Highlands have a wealth of such sites. They give an insight into how Scotland was formed, how its people lived, the battles it fought and the more peaceful aspects of its religious communities. Be surprised when coming across a site or monument in some of the remotest parts of the British Isles, History is literally around every corner. The Barracks was built between 1719 and 1721 on a prominent mound overlooking what is now the world famous Insh Marshes. It was one of four infantry barracks constructed throughout the Highlands by George II’s government following the failed Jacobite rising in 1715. The barracks housed around 120 men on three floors. In 1734 Major General Wade gave orders for a stable block to be added. The views down the valley from the Barracks are spectacular and wildlife abounds in the surrounding marshes. Open all year. A prehistoric Bronze Age cemetery dating back some 4000 years comprising of passage graves, ring cairns, kerb cairn and standing stones. Very little is known about the builders of the cairns. 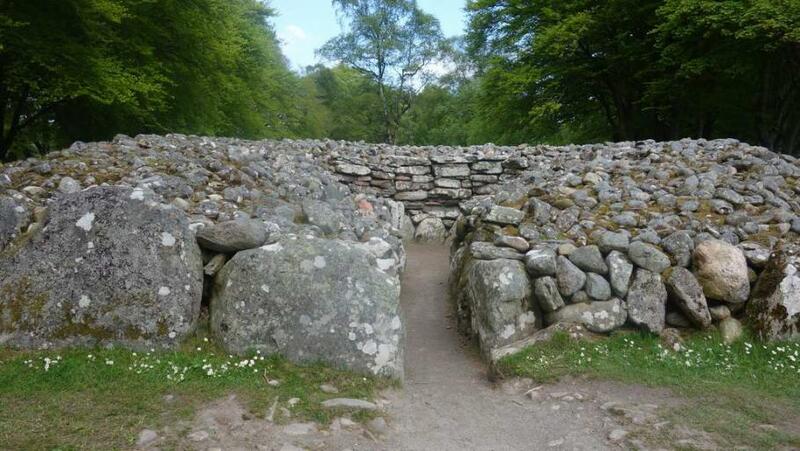 The three well preserved burial cairns each have a central chamber and are surrounded by rings of standing stones. Probably the burial place of the privileged among the local farming community and only one or two bodies within each cairn. Spot the cup-and-ring marks along the passages, examples of prehistoric rock-art. Set in the beautiful wooded surroundings at Balnuaran, best visited at sunrise or sunset and the colour and texture of the stones emphasises the special association with the sun on the shortest day of the year. 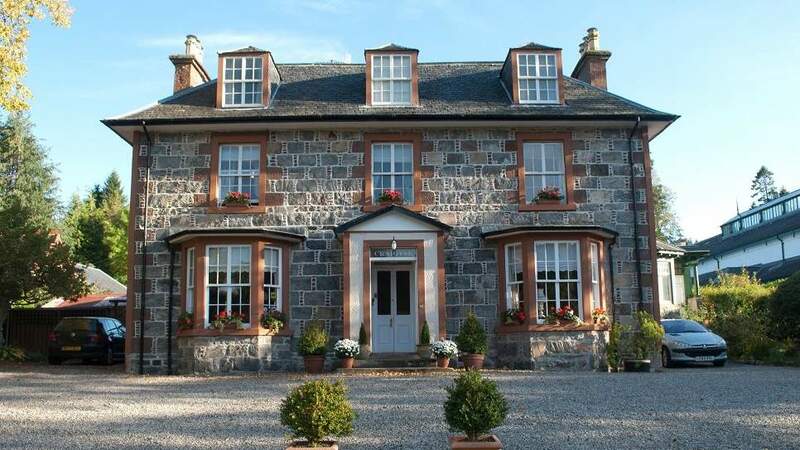 Now a popular place to visit for Outlander book/TV fans. Visit the nearby spectacular railway viaduct and Culloden Battlefield. See history brought to life with Gaelic music, songs, interactive exhibition, a 360 degree film, battle table and real artefacts taken from the battle site. Imagine the terror experienced by the many characters involved and relive the horrors of the battle – the last to be fought on British soil. The site has been restored to as near as possible to how it would have looked on 16th April 1746. Walk around the battlefield and experience the eerie feeling as you look over your shoulder sensing the cries of battle and then appreciate the scale of the battle from the rooftop viewing area. All the paths are suitable for anyone with special access needs and families with prams. This is a spectacular, environmentally friendly Visitor Centre, including a shop and restaurant. Open all year. Situated six miles south-west of Elgin, Pluscarden Abbey dating back to 1230 owes its foundation to King Alexander II of Scotland. It is a community of Catholic Benedictine monks enjoying the peace and tranquillity of a secluded glen and the beauty of its architecture in the only medieval British monastery still being used for its original purpose. Long before 1230 there may have been a hermit’s cell and a well dedicated to St. Andrew situated here. Pluscarden was probably burned by the Wolf of Badenoch around 1390 and some evidence of this can still be seen. The history of Pluscarden is very varied and it was not until 1948 that life began again for the Benedictine monks. It was elevated to Abbey status in 1974. Rebuilding and restoration continues, but today it is a thriving house, place of worship and a training place for Novices. Visit the Abbey on retreat and share in the prayer and work of the community. The bronze, Category A, memorial standing some 5.2m high, situated in Lochaber in the Scottish Highlands, was completed in 1951 by Scott Sutherland and unveiled by the Queen Mother in 1952. It depicts three Commandos in typical World War II uniforms looking out towards Ben Nevis with an inscription at their feet saying “United We Conquer”. Eight serving Commandos were awarded the Victoria Cross. The Commandos intensive training centre was established at Achnacarry Castle in 1942 North West of the monument and today it has become one of Scotland’s most visited tourist attractions. Also the site of an Area of Remembrance for those Commandos who served in World War II and also those who have died in more recent conflicts. Further information and displays can be found at the Clan Cameron Museum at Achnacarry, the West Highland Museum in Fort William and at the Spean Bridge Hotel. Access to the site is from the B8004. Open all year. Designed by James Gillespie and erected in 1815 the monument is in a magical setting at the head of Loch Shiel. Surrounded by some of the Highland’s most spectacular scenery the lone kilted Highlander sits at the top of an 18m column and commemorates the Jacobite clansmen who fought for Bonnie Prince Charlie in the 1845 uprising which came to a bloody end in 1846 at Culloden. The Visitor centre holds a new exhibition opened in 2013, also a shop and café and is run by The National Trust for Scotland. The site is open all year but see the Trust’s website for opening times for the monument and visitor centre.